To get door-to-door driving directions, enter your address or zip code. Located on the corner of Main Street and Mt. Desert Street, Bar Harbor's Ivy Manor Inn has a location that can’t be beat. 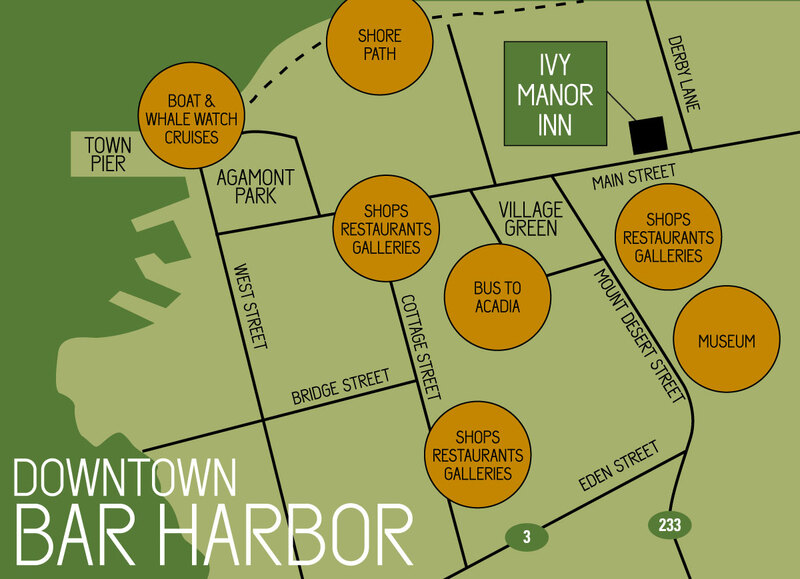 With our prime location, you can follow your chosen route to Bar Harbor, park your car, and never drive again until it is time to leave. But there are other ways to get here, too. Several bus companies offer service to Bangor, and shuttles are available. Bangor International Airport is just over an hour away, and there are US Airways flights to the local Bar Harbor Airport. However you get here, Ivy Manor Inn is ready to welcome you.